If like us you’re fascinated (and obsessed) with all things HubSpot – a great place to expand your knowledge is INBOUND, HubSpot’s annual marketing conference. Just like every other INBOUND, INBOUND16 has not disappointed. HubSpot has unveiled a series of updates, features, changes, and new inclusions for us inbound marketeers to swoon over. So, The B2B Marketing Lab out in Boston wanted to put together a quick update reel for you folks who love HubSpot - so, without further ado, here are the latest HubSpot updates for 2017 from HubSpot's Inbound16 Announcements. 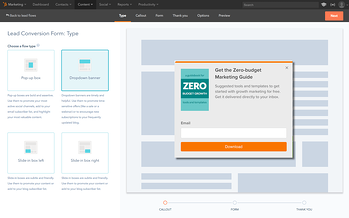 Yes, HubSpot’s unveiled a new variant to its existing marketing platform, HubSpot Marketing Free – a completely free version of its existing platform. 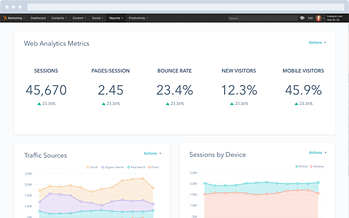 With HubSpot Marketing Free, you can start monitoring your web visitors before they even fill out a form. Once they’ve entered their email address, you’ll know (in real-time) who they are, where they work and the pages they visited on your website, giving you context about your leads. HubSpot Marketing Free works in conjunction with the free HubSpot CRM, allowing you to easily manage your contacts. Having these analytics and abilities at your disposal will enable you to drive more targeted marketing campaigns, helping you turn visitors into buyers quickly and more efficiently, and yes, it’s free! Have you ever had trouble identifying topics of worth based around keywords you want to rank for? It’s highly likely that you have. Fortunately, HubSpot’s new Content Strategy tool aims to alleviate that problem by identifying potential content topics you could pursue based on their relevance, competition and popularity. Even before you embark on your content creation process, you can enter the kinds of topics you’d like to write about and HubSpot will do the research for you, determining what topics will help generate you traffic and leads. You simply enter a ‘core’ topic along with ‘subtopics’ and HubSpot will help determine what’s popular, competitive and relevant. In addition, HubSpot’s Content Strategy tool provides you with ‘overall topic clusters’ enabling you to see what content is driving leads overall, allowing you to realign your marketing efforts and expand your coverage. With mobile search exceeding that of desktop, it makes sense that your content should be optimised for both mobile and desktop. HubSpot understands the necessity of having optimised content no matter what the platform, and as a result, has added an AMP support functionality, which you just need to click to enable; simple right? 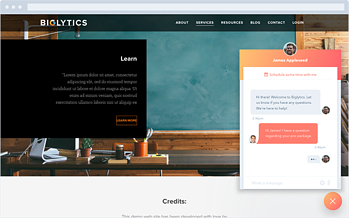 If we were to encapsulate HubSpot’s composer tool, it would have to be something like a multiplayer blog interface. You have the ability to add comments, share feedback and collaborate with other authors. Every blog is automatically optimised for mobile devices as well. Previously you may have been using Word documents to keep on track of blogs, maybe even moved into Google online docs, now the whole process can be run within HubSpot from first draft to a live blog. 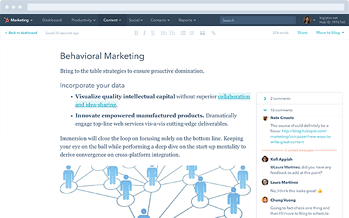 If you’re familiar with Evernote, you’ll be pleased to know that HubSpot has developed something similar. It’s called ‘Collect’ and it allows you to save articles, images, quotes and various forms of content from around the web, with one click. So whenever you’re researching for a new blog piece and come across something interesting, you can simply use HubSpot’s Collect app to store it! Content you’ve collected can be quickly inserted into blogs where and when you please. In addition, for those of us who regularly reference source material, HubSpot’s Collect app will ‘automatically attribute’ the researched source back to the original link whenever content is inserted. 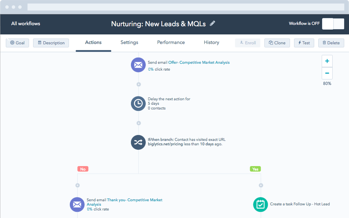 Workflows are some of the more complex, yet incredibly interesting and necessary components of a successful lead nurturing strategy. Just like a tree diagram, longer workflows result in multiple avenues, which in turn can be somewhat daunting. 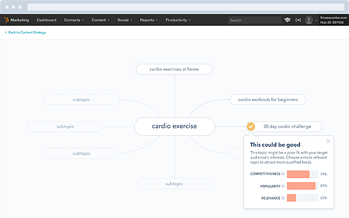 HubSpot’s revised its existing workflow interface to be less complicated, providing what’s being called a ‘visual workflow’. With the latest update, HubSpot’s visual workflows will enable you to visualise and optimise specific components, or zoom out to see your entire campaign workflow overall. HubSpot’s opted for visual simplicity whilst retaining the powerful automation aspects. 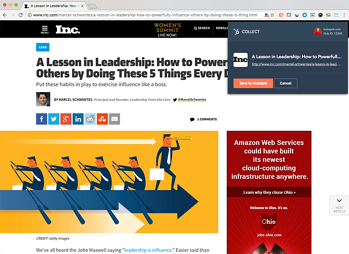 In essence, HubSpot’s new visual workflows should be easier to operate, branch and learn. … and these are just some of the metric updates! In addition, the new interface is incredibly clean, simple and attractive, clearly distinguishing everything so that you can easily understand each variable and make quick decisions. 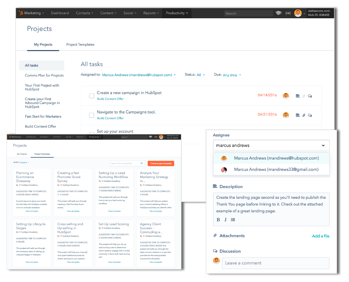 Launched last month, HubSpot’s projects aims to remove the confusion of using multiple applications to manage different projects by providing teams with all the tools and capabilities they need. When you create a project in HubSpot’s projects, it’s essentially a set of tasks which teams can delegate to each team member. The idea is that you use HubSpot projects to create a work plan in HubSpot, meaning you don’t need any external apps. You have a variety of functions and abilities at your disposal such as assigning owners, adding links, due dates and much more. Some of you may already be using the Projects function, but if you aren’t you can locate it underneath the Productivity tab on your HubSpot dashboard. Facebook Ads are coming to HubSpot! With HubSpot’s inclusion of your Facebook Ads data, HubSpot can provide a closed loop view of your ad results. You’ll also be able to instantly see what Facebook Ad clicks turned into leads. All of this activity, you guessed it, is trackable on the contact’s timeline. Facebook now joins LinkedIn and AdWords on HubSpot, meaning you can optimise your marketing efforts across networks as well as determine what is and isn’t working for your ads, allowing you to evaluate and discern your overall marketing ROI. 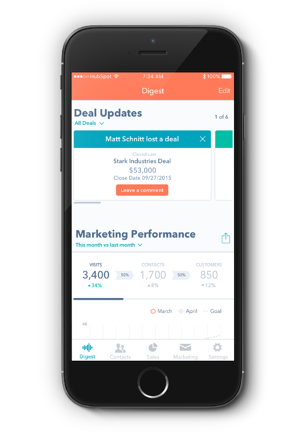 HubSpot have a mobile app! FINALLY. 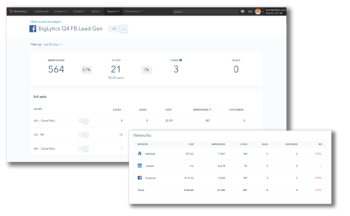 They’ve brought the best parts of the full HubSpot stack into one app; marketing, sales and CRM – meaning you have everything you need in one place – and you can market as you go. You can customise your mobile homepage to display the elements which are important to you. If you’re using a database driven website, a lot of your content isn’t in HTML files on a server, but rather in a database of rows and columns. The advantage of having a database driven website is that whenever content on your database is updated, that is reflected on every page that uses that specific content, meaning it’s easier to manage your overall site – and you don’t have to edit multiple pages. But it can still be problematic to update these pages on a regular basis. HubSpot has developed HubDB, a relational database tool which is built into the HubSpot platform. 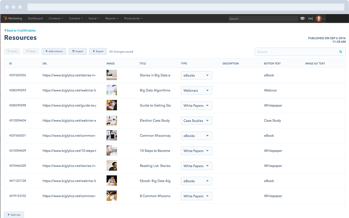 It allows you to create database-driven content tables for your website or landing pages, where you can add all the relevant information and publish with one click. Now, with HubDB, you no longer have to edit multiple pages as you have one central location. Bear in mind that, before you can use HubDB, it will need to be implemented by a designer or developer who understands HubL. For any business operating internationally and contending with various markets, it’s difficult to create, manage and optimise content across multiple languages. But HubSpot’s got you covered. 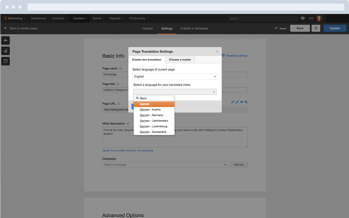 With HubSpot’s multi-language feature, you can instantaneously translate content to another language using its translation integration partners. 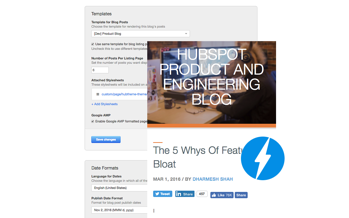 Furthermore, HubSpot will automatically optimise the page for you, including the regional naming and hreflang tags in the source code. HubSpot has further refined its sales process, providing your business with new tools and options to help you connect with customers seamlessly and support your sales process. 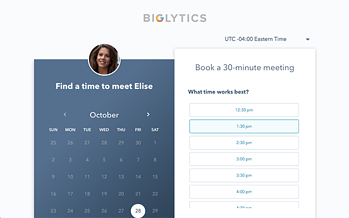 while, the latest update allows for the meetings function to be added to your website as a widget, allowing visitors to request an actual meeting with you – highlighting their intent. Messages– you can instantaneously chat with site visitors in real time, further increasing your opportunity to engage with your customers and nurture them. You can specify what pages and what visitors you target as well. The best part about the messages functionality is that it’s integrated seamlessly with your HubSpot CRM, meaning you can pull up the data regarding that particular visitor whilst you’re talking to them - and the conversation will be saved in the event timeline automatically. Cool eh? LinkedIn’s Sales Navigator tool provides you with the means to accentuate your social selling. It enables you to generate leads (some through automation), use possible connections to build your prospect base and provide insights. At some point in 2017 HubSpot will be integrating LinkedIn Sales Navigator into the HubSpot CRM – allowing you to target, analyse and converse with the leads and prospects you’ve generated through it – directly in HubSpot. And there you have it, HubSpot's upcoming updates for 2017.